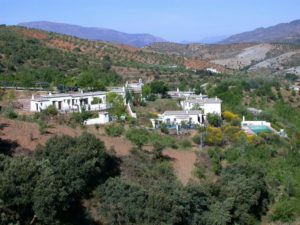 The Las Alpujarras is the area between the high Sierra Nevada and the Mediterranean Sea and is one of the most diverse regions in Spain. The Sierra Nevada dominates the rich blue skies, whilst the Contraviesa Mountain range to the South separates Las Alpujarras from the sea. 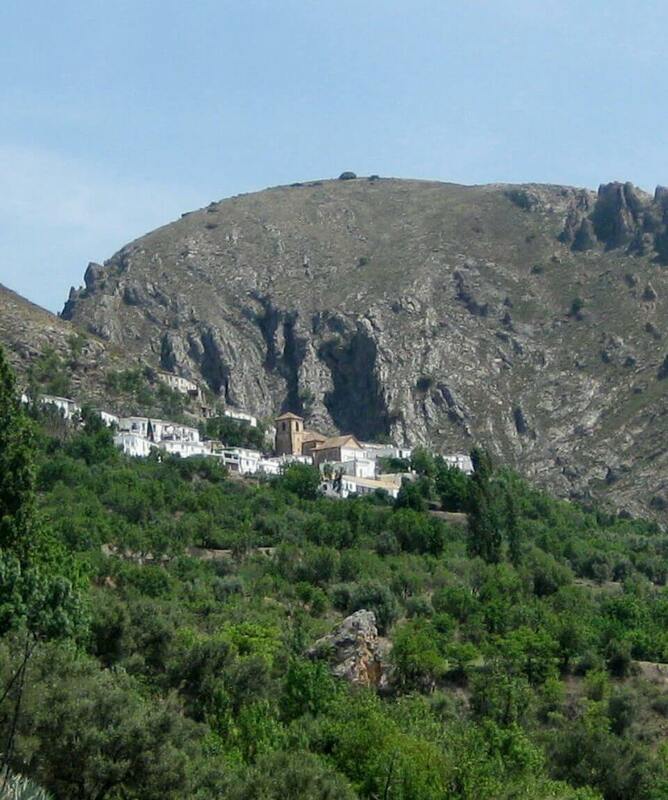 The area is rich in Moorish history and culture and full of wildlife and amazing scenery. 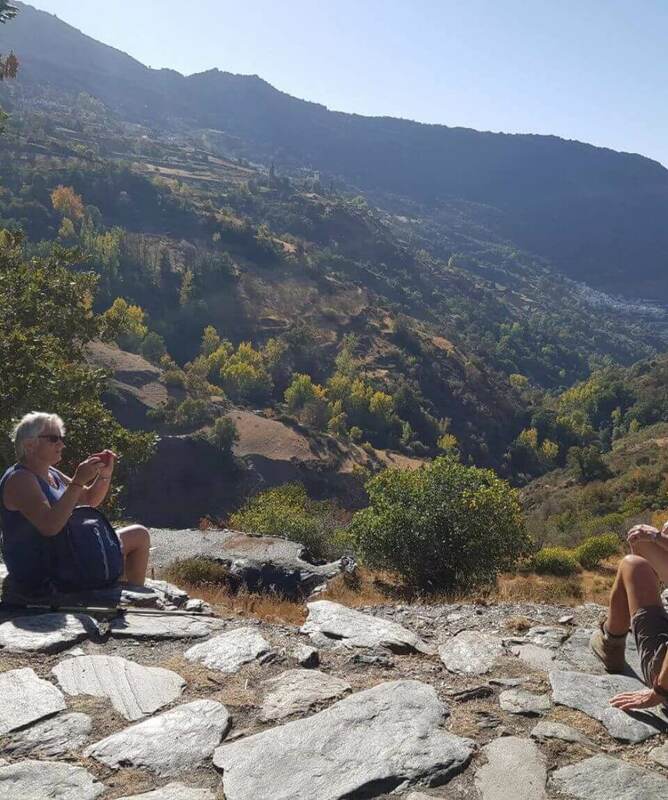 This itinerary has been designed for you to see some of the best bits of Las Alpujarras in a week, and is one of our most popular itineraries. 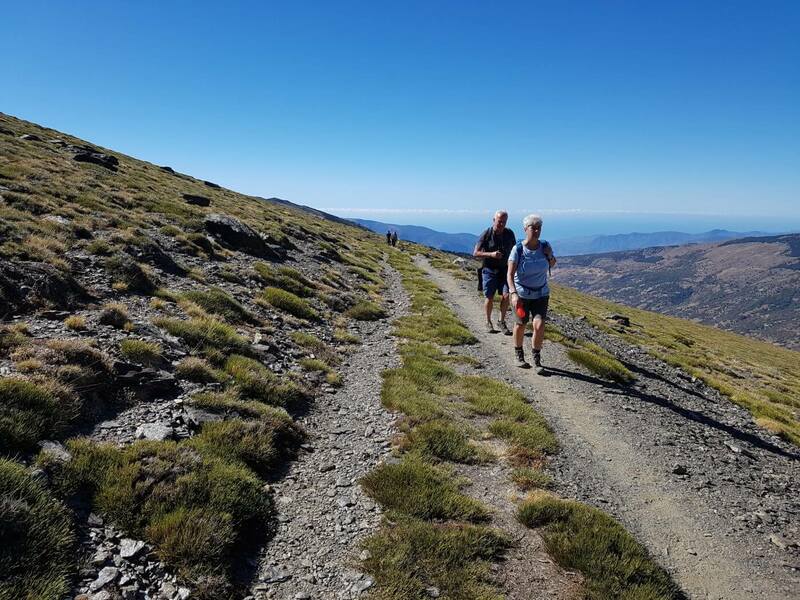 We meander through the stunning Alpujarran valley starting in Capileira, which is high in the Poquiera Gorge in the West and amble our way East to Cadiar, ‘The Navel of La Alpujarra’, through the beautiful white washed villages and stunning valleys. 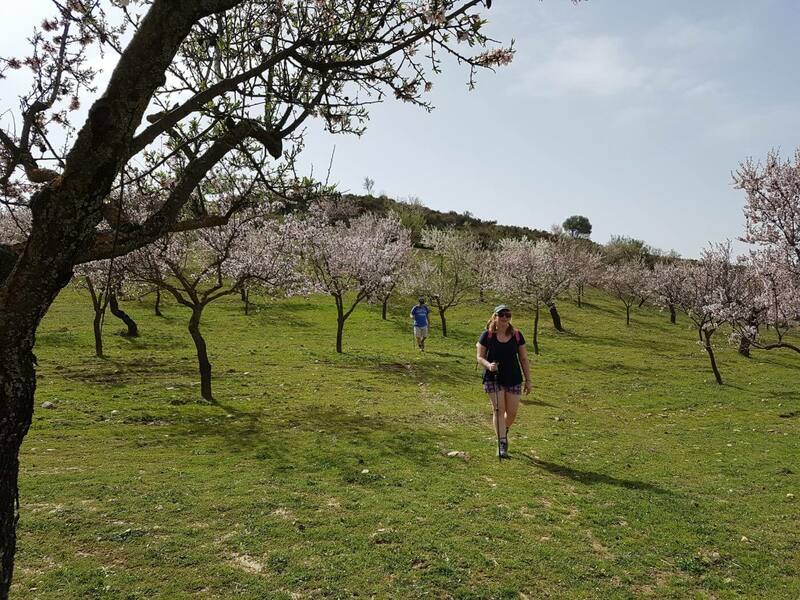 You will stay in 4 different hotels in 4 fabulous locations within this trip, and your luggage will be sent on ahead of you, so only a day backpack is needed for the walks. 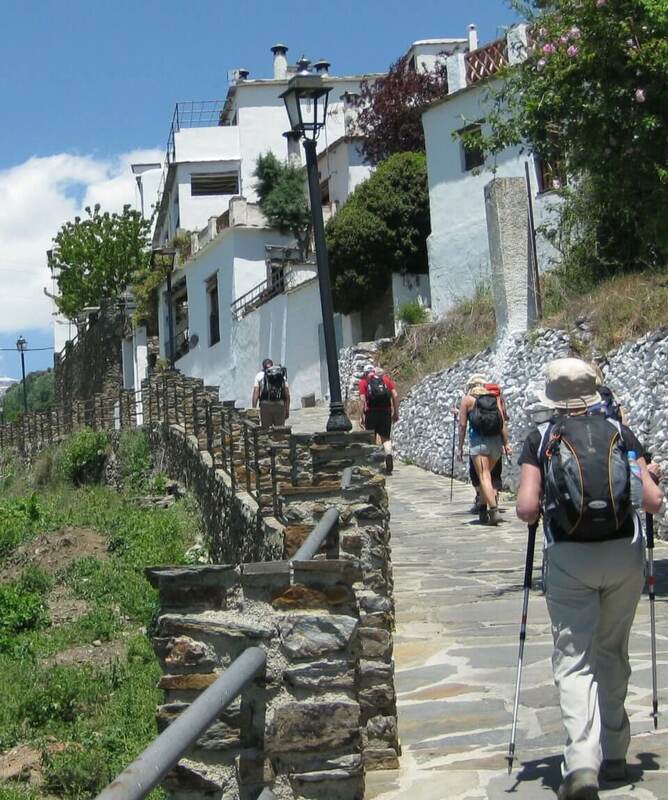 All about the Las Alpujarras Valley Walk. 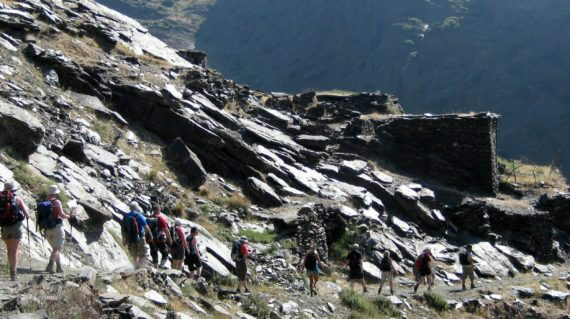 A 7 night walking holiday based in the beautiful Sierra Nevada National Park in Andalucia. 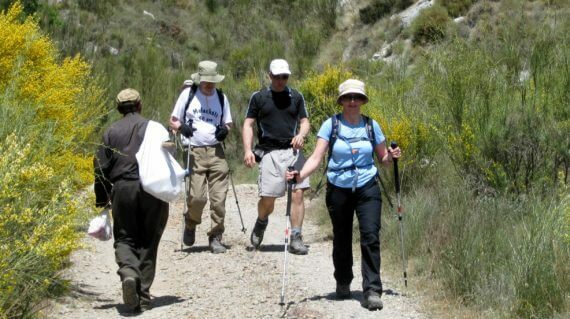 We will mainly be walking in Las Alpujarras which is the valleys that run down from the Sierra Nevada and west to east. 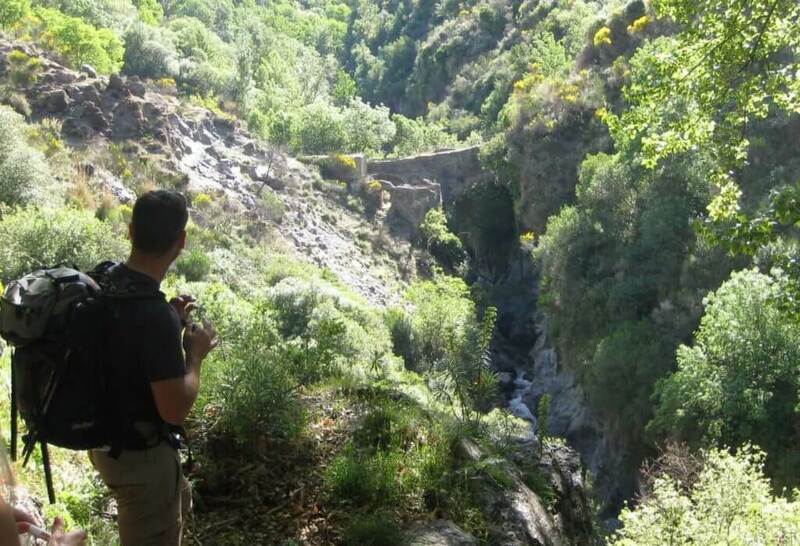 We start high in the Poqueira Gorge in Capileira for 2 nights before walking South to Mecina in La Taha region. This is the ancient silk producing area, a beautiful lush green valley crisscrossed with mule tracks. We stay in the very nice Hotel Mecina for 2 nights here. We then either transfer straight to Trevelez or you have the opportunity to go Granada for the day. A must whilst in the area. 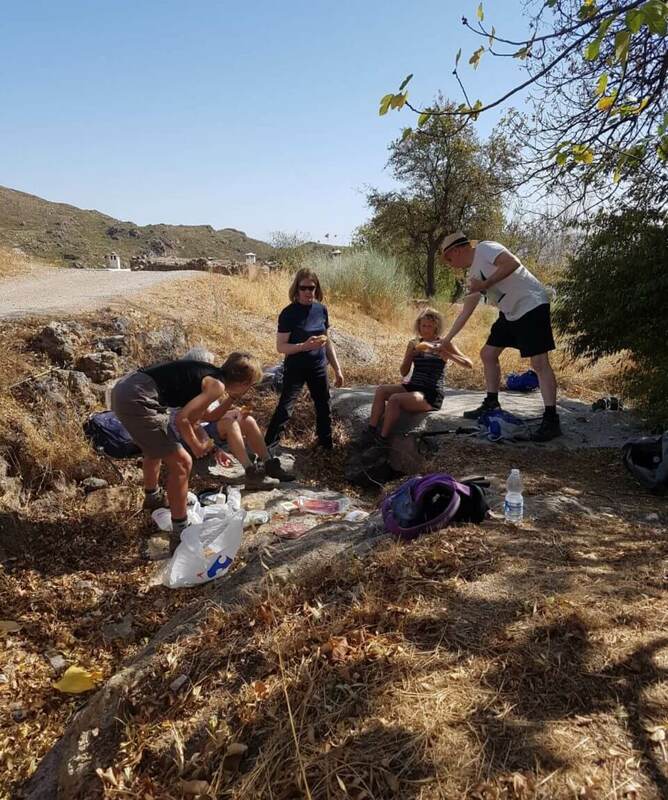 Staying in Trevelez for 2 nights we walk into the Sierra Nevada national park before returning to Trevelez and then we walk down into Juviles for a traditional ‘Alpujarran’ lunch. . This itinerary suites walkers who want to walk around 4-5 hours a day at a leisurely pace with plenty of stops. The paths are all good with only some short ascents and descents. A beautiful walk taking in the Poquiera gorge with the snow topped Sierra Nevada as the backdrop. Walkng to La Cebadilla the deserted village. A circular walk around La Taha, closest meaning municipality in Arabic. 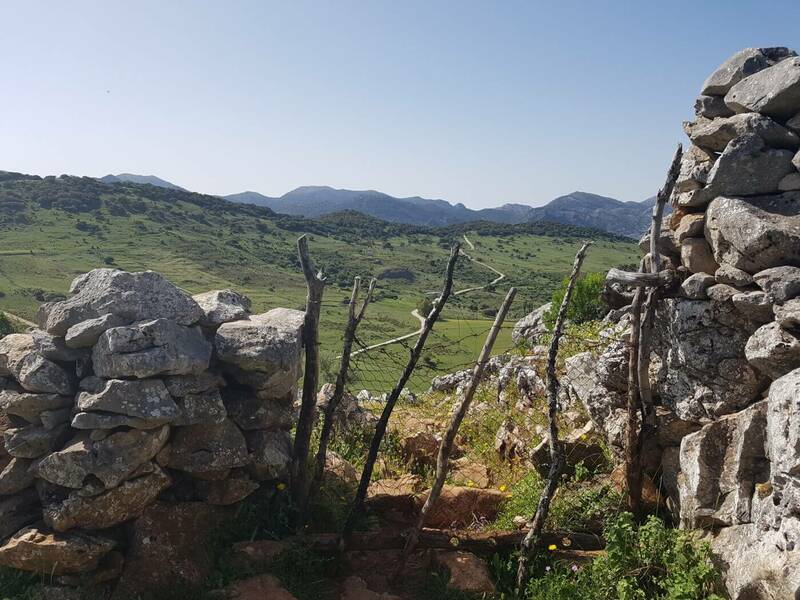 The closeness of the villages makes this a great walk to see most of the nine villages of La Taha. 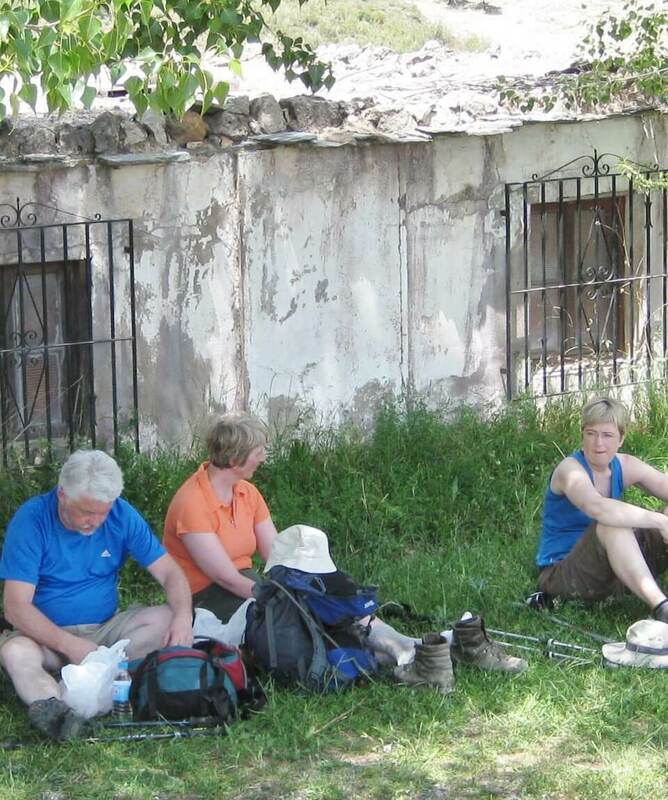 We will walk along ancient mule tracks and silk routes. 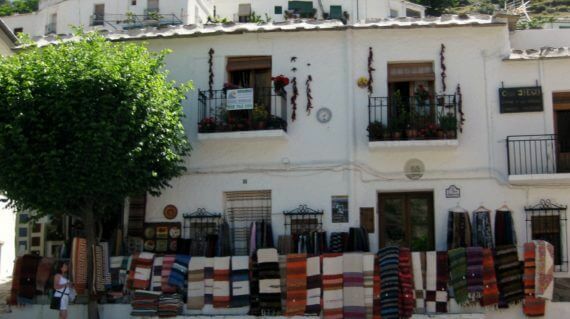 Free Day Or Trip to Granada and the Alhambra(50 Euro per person min 2 people) A visit to the Alambra and then to the moorísh baths for pampering, if you wish(30 Euro extra) or just some free time in the historic city of Granada, eating, drinking and shopping. Return to Trevelez. A beautiful wild walk. Waling along the side of the valley before descending to the river below. 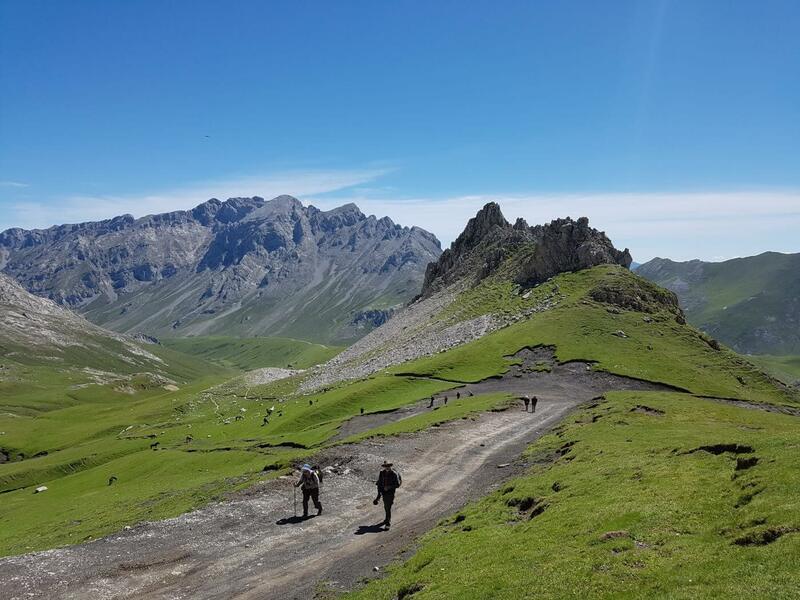 A great walk with good chances of seeing Golden Eagles, Bonellis Eagles and Ibex. 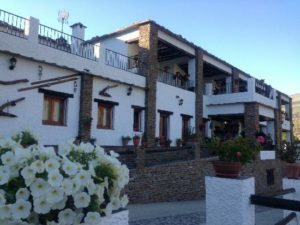 Walk from Trevelez down to the lower region of Las Alpujarras and to the beautiful Hotel Alqueria De Morayma, your base for the next two nights. 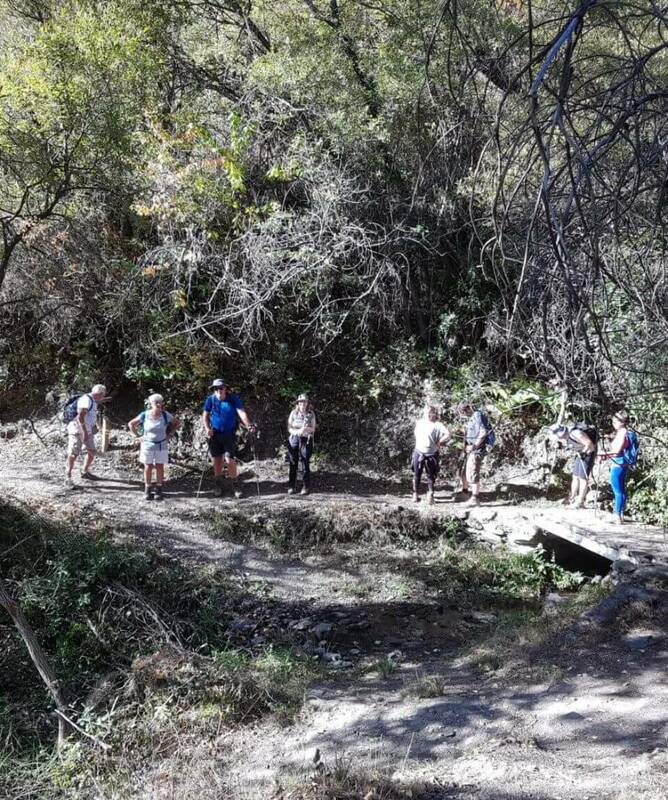 The walk will take in the impressive El Fuerte, Moorish ruined citadel where fabulous views of the lower Alpujarras can be had. A beautiful hotel which should be a 4*. Lovely pool and bar area situated in a cherry orchard. We will eat out in two local restaurants whilst we stay here. Wi-fi in rooms. 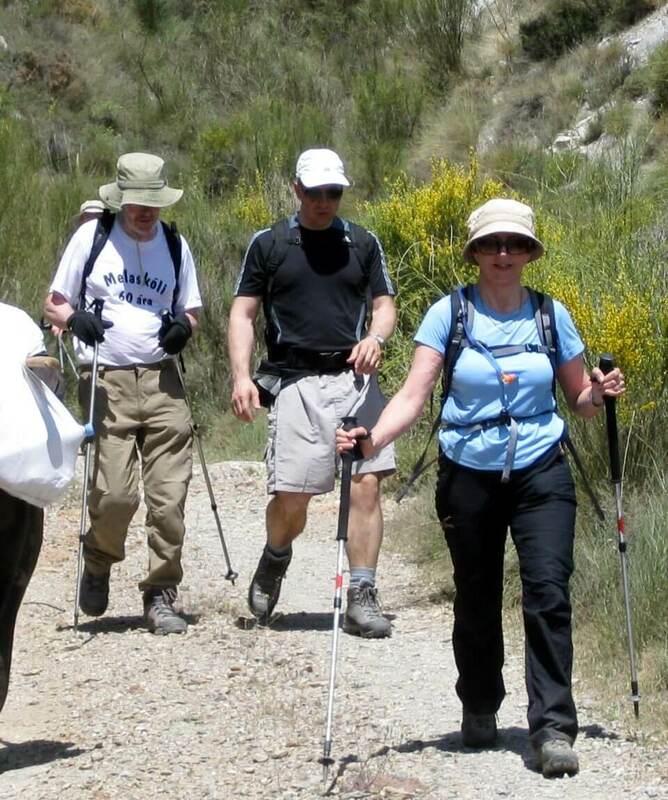 What do I need to bring?What insurance do I need?How do I get to the Sierra Nevada?Can I come on my own?What is the group size?Do I need to walk everyday?Do you ever cancel weeks?Is my diet catered for?